I had a really bad weekend associated with floppy drive failures. Either all my floppy disks or all my drives decided to jump the ship. Nothing worked! Worse, I could not buy any “new” floppy disk anywhere. Office Depot still stocks floppies but not in stores and you have to order online and wait. Neither Halted nor Weirdstuff had them as well. Seriously? A major disaster! Something had to be done to make it future proof. So I went to research floppy drive replacement solutions. And this is what I found. There are several Floppy Disk Emulators on the market. Here is the list and a little bit of research on every one of them. They do have major differences to be aware of. EMUFDD – The first one I found. Italian made, intended to be used in industrial machinery. The device is extremely compatible, customizable, feature rich and according to the company, individually installed in each deployment. I bears a lot of interesting features such as Network option. Apart from the high price the device is not intended to be used by hobbyists. Gotek – This one is by an Indian company. Very cheap and you can find it everywhere. It costs about $25 on eBay including shipment. However a major warning: they work by dividing the SD card in to 100 partitions, each size of a single floppy disk and multiplexing them to emulate a floppy disk. Because the partitions are formated with FAT12 the device is not usable for anything else than MS-DOS and Windows. Apparently revision F is capable of storing a single “bootable” or non-MS-DOS disk image. Also they have separate models for 720k, 1.2MB and 1.44MB. There is a whole army of Gotek clones. 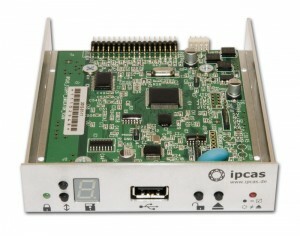 IPCAS – This is another clone of Gotek, however worth separate mention and a warning, it costs $300 – ouch! HxC – this one was found by claunia. As with most French stuff bit confusing because it has several web sites (one two three). The devices are manufactured in Poland by Lotharek. The price is around $150 and you can buy it on eBay. Feature wise may be the best of all, it definitely supports all the non-PC platforms and even very weird formats. The software naively supports conversion from the notorious IMD and TD0. 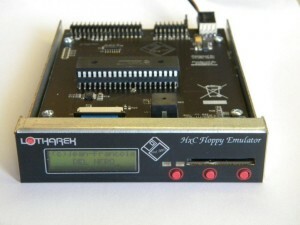 For some people it will be appealing the HxC is an open source project and you can build it yourself.  Certainly it helps to ensure longevity in case of the vendor going out of business. Definitely a winner here. 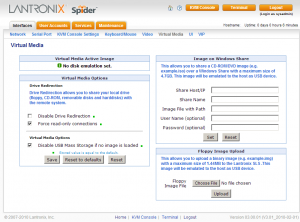 HxC USB Version – This is interesting variant that instead of SD card uses a wired USB connection to a host machine. The main drawback is that it is read only. However you can’t beat it’s $70 price. For this I could probably refit few of my machines and use it for boot only. FlexiDrive – Made in Argentina. The manufacturer claims to support all floppy disk formats including 8″ disks. SD card or USB based. 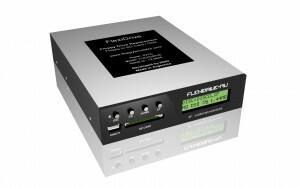 They are made for industrial machinery and customized firmware for different applications. Cost $385. DTX200 – from Datex a French company. These are also made for industrial machinery. They maintain a large database of emulated floppy drive types. Interestingly they have video of MicroVAX using their emulator, certainly interesting from retrocomputing point of view! 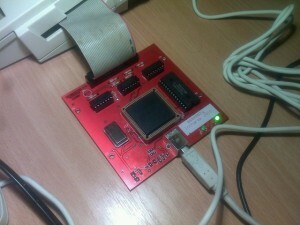 They also make MFM 2 CF hard disk emulator. The price is $495. I have ordered two units for testing: HxC, SD revision F from eBay and Gotek Rev F from the manufacturer. I guess testing of the units will be subject of part 2 of this post. I’m planning to try to install some of the weirdest operating systems with wildest disk formats. Floppy Emulator in Pendrive / USB Stick. The best success I had so far was zMate pen drive from DaneElec which registers as a floppy drive with the system in addition to regular removable disks. I used it several times for booting, loading Windows storage drivers or saving BIOS diagnostic logs from servers without FDD. 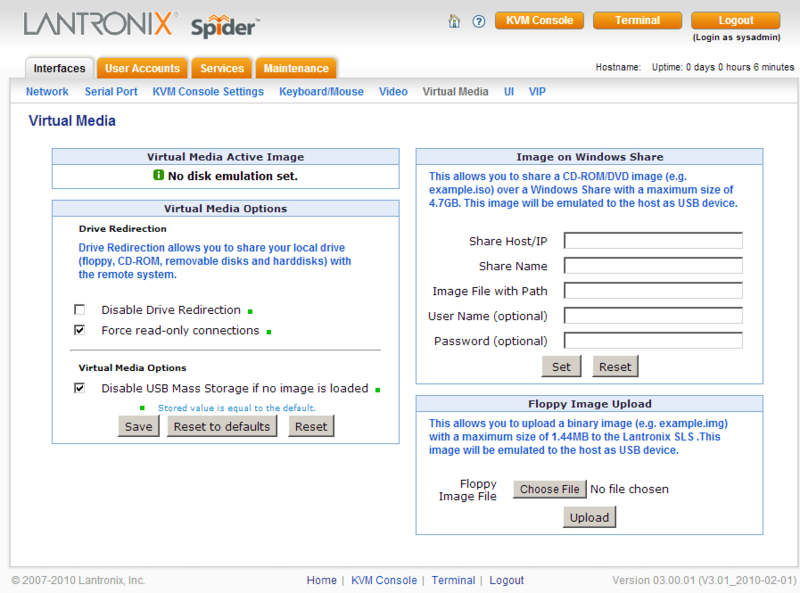 Lantronix Spider, which allows you to mount a virtual floppy disk or cdrom image from the viewer machine or SMB share, just as you would using VMware or VirtualBox. Pretty cool. 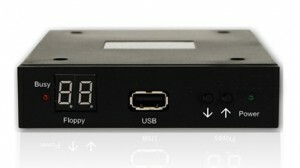 Mac Floppy Emu – is specifically designed for Macintosh. However currently it only support 800K. Very promising project and once they add 1.44MB support I will want to retrofit my Macs with this. 1541 Ultimate – Floppy disk emulator for Commodore C64. Interesting, I was looking for SD/USB Stick floppies a while ago and haven’t found the first two. They seem to be commercial solutions for industrial machines, I’m curious whether they support copy-protected IPF images – yes, I’m a purist, crack-intros were nice at the time, but now I want to have the genuine experience, looking up the symbols in the manual etc. HxC (non-USB version) seems to be nice and I could get one a bit cheaper since the guy Lotharek builds them in Poland. There are some drawbacks like lack of 2.88″ support or lack of copy-protection support. I asked the HxC designer about full IPF support and he replied that he might sell a new design which can do it, but it will be more expensive. Looking forward to your HxC review. In the HxC forum you can see how the creator says 2.88Mb format is supported. However if you’re referring to 2.8″ QuickDisk format, it could be a really complicated format to support because of the spiral single track they’re made of. If you want the IPF support, i recommend you the USB HxC. I tried to do the same review some time ago, but it was not so complete. Nice work! Personally I’m trying to save some money for the HxC too, it’s by far the best one. Previous Previous post: Another OS/2 extravaganza on the Register! Next Next post: Qemu 1.3 released!